Lancashire’s three Anglican Bishops have issued their annual new year messages to the County. The reflections, from the Bishop of Blackburn, Rt Rev. Julian Henderson; the Bishop of Burnley, Rt Rev. Philip North and the Bishop of Lancaster, Rt Rev. Dr Jill Duff, are available to view and share on social media now via YouTube and to play during church services over the coming weekend and into the New Year. 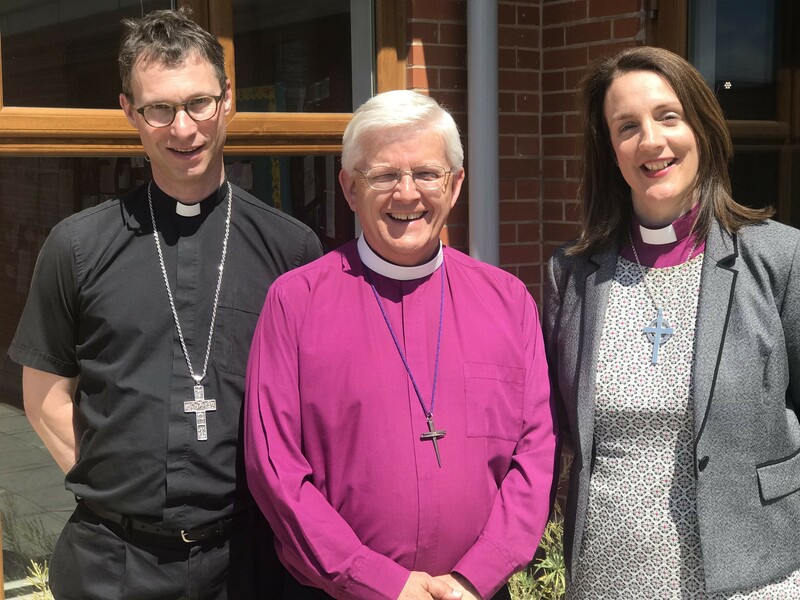 The picture shows (left to right) Bishop Philip, Bishop Julian and Bishop Jill. Meanwhile, the 2018 Christmas messages from all three of our Bishops are also still available to read and watch via this page of the diocesan website. In August, I wrote an article for a local newspaper about drugs and the danger of drug addiction; the chaos that drugs bring to people’s lives. It’s frightening when we see on our television screens pictures of people of all ages, including the young, standing as if frozen in a street and not able to move, while affected by a drug which they have recently taken. I love New Year, but it also reminds me of one of the most embarrassing incidents of my life. I was at a family New Year lunch and my cousin had turned up with his new girlfriend; a beautiful, posh, wealthy young woman dressed in a fabulous electric blue dress which seemed rather out of place amidst our scruffy family. In the Duff family, we have a tradition of a going for a walk on New Year’s Day. The plus side is, it’s a great opportunity to get some fresh air and work off some weight from Christmas. The downside is that you don’t have a choice over the weather. We’ve had the very wet, the very windy and the very snowy over the years.